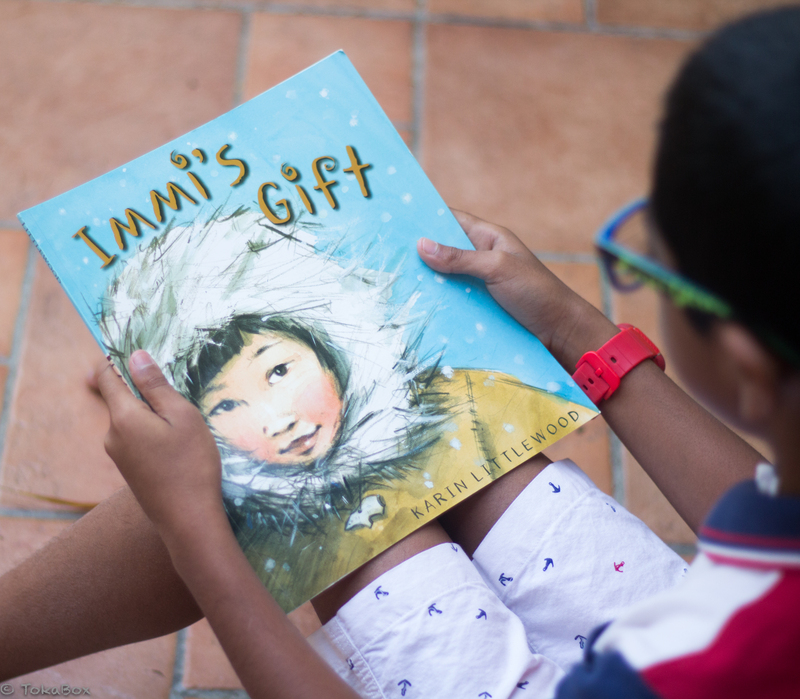 Two children half a world away from each other are connected in an unexpected way. Way, way up north in a snow-covered world, a young girl is surprised when, instead of a fish on the end of her fishing line, there is a small, brightly painted wooden bird. Day after day her fishing pole brings up more colorful surprises. When visiting the fishing hole for the last time, she drops a little wooden bear into the water. Far away, a young boy walks along a beach in the hot, hot sun. He throws a colorful object into the water. Then something catches his eye. A small wooden bear washed up on the beach. 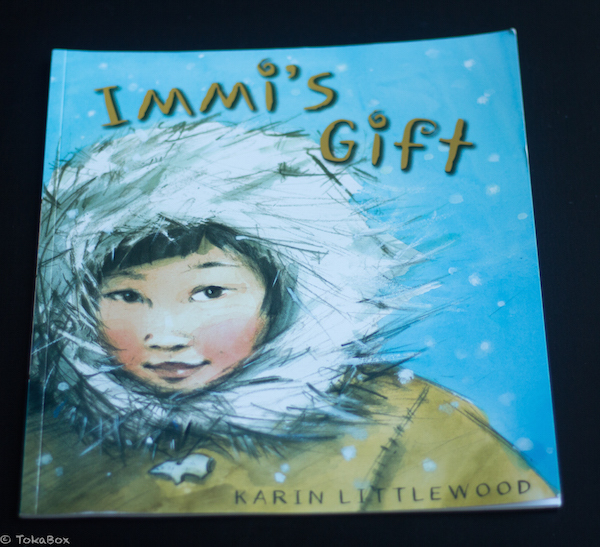 Karin Littlewood has crafted a simple, affecting story of how individuals around the world connect and enrich each other’s lives. Her beautiful watercolor illustrations vibrantly depict the story’s shifting locations—from the frozen Arctic to the tropical shoreline.